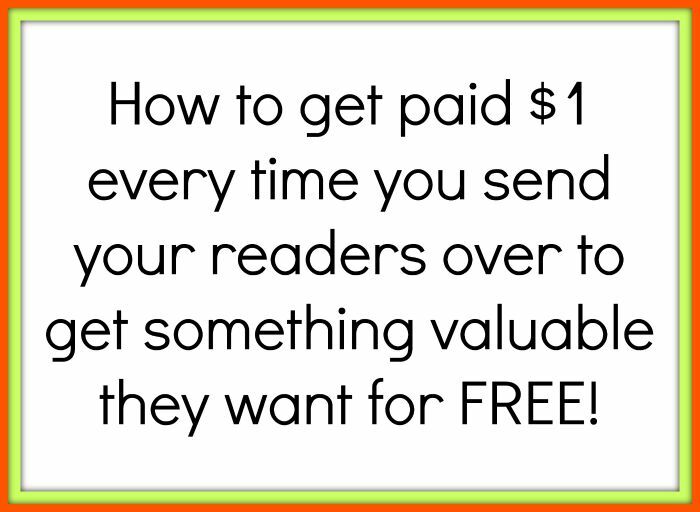 Want to earn $1 every time you give away something that is free? It’s easy money. Read on…..
Well its been a long long time since I posted here. My sewing site just took off this year and I’ve been devoting all my time to growing that and making it as successful as possible – and its been phenominal. However, back in June things changed at one of my major affiliates. 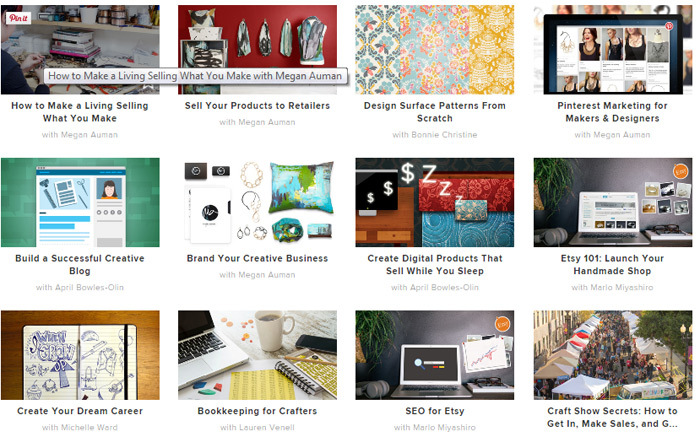 I’d been using Craftsy since the early days and loved that they have so much free content and were paying a lead commission for people who I sent over there, for that free content. Then in June, they took away that lead commission – gone. I still make money from the class commissions and they did increase the tracking cookie length, but I missed that lead commission. So I’ve been looking for good alternatives that convert well and when I found one that did really great for me, I just wanted to share it with you. Creative Live is an online training platform, and the quality of the training and the professionalism and level of the courses is just excellent. It has less of a crafty bias although there are still crafts covered, but there are topics there that truly do appeal to everyone. I recently promoted this on my sewing site aimed towards those that wanted to take their sewing and turn it into a home business. 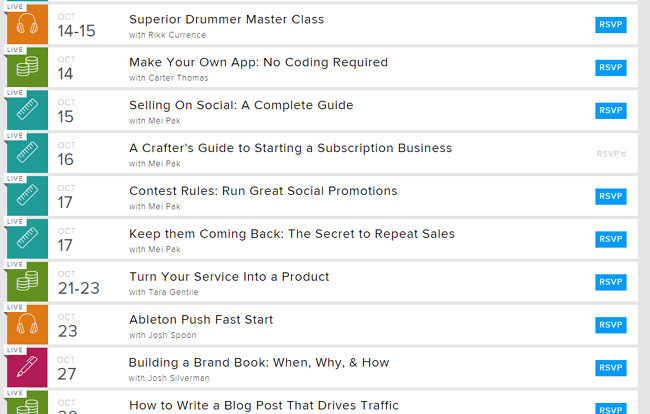 The classes can be quite pricey – from $39 to $129 but that is good for you because when you offer your readers the chance to get a $129 class for free, well, they’d be crazy not to sign up. And for everyone that signs up you get $1 in your pocket for sending that lead to Creative Live. Plus if they buy any classes you get a 20% commission on the sale as well. It did really well for me, and with such a wide range of classes and topics on offer, I’m sure you’ll be able to find a way to promote this to your readers too. It’s a digital product so that means you can promote it to everyone worldwide without restriction – more sales and leads for you. I’ll be promoting the Simple Sewing Projects for beginners. It’s a 2 day class, usually costs $79 and will be running for free on 28th and 29th September. I’ll get $1 for every new lead I send their way who signs up for this free class. 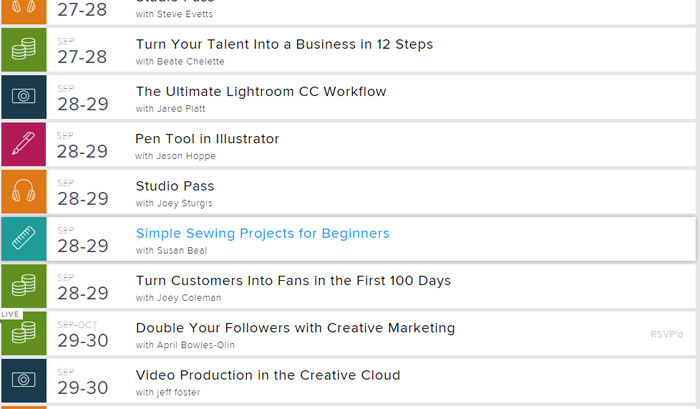 There are also FREE classes you can promote – and this one is sure to be a winner. Promote this on social media and watch that money come rolling in. 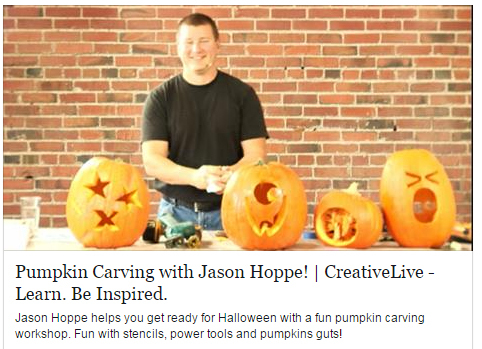 Pumpkins and Power Tools = perfect for Halloween for any audience. People are going to just sign up to watch this because it sounds so crazy! You can even share this on your personal pages as well because who doesn’t want to mess with power tools! TIP – when you apply for the program, a box comes up where you can leave more info about yourself for them to review before accepting you. Make sure to leave the URL of your website in here, or if you run more than one site, let them know your largest site where you intend to promote their links. Give them a reason to accept you! The Creative Live affiliate program is run via ShareASale. SIGN UP HERE. Thank you so much for sharing this info, Deby! Craftsy’s change hurt me as well but it’s a good reminder to diversify our income streams. I have creativebug on shareasale which I love but I would love to look into creative live because my mom bought me a sewing machine but won’t or never taught me to sew and I tried to do a simple tee and when it was to hard to turn it inside out I realized I sewed the whole thing. Arms neck etc but I did have a nice straight line.